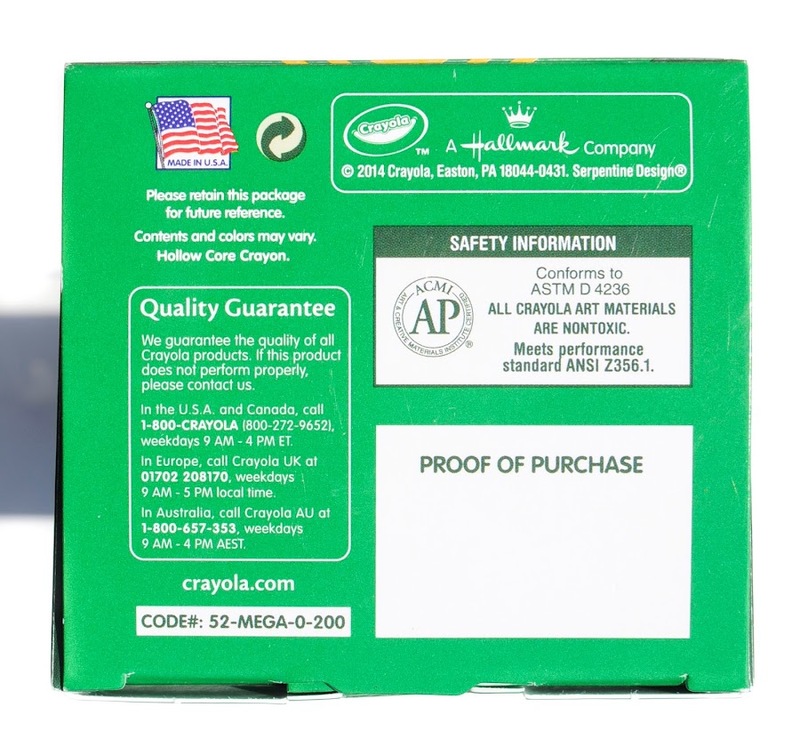 It is officially time to say goodbye to Crayola's Dandelion. 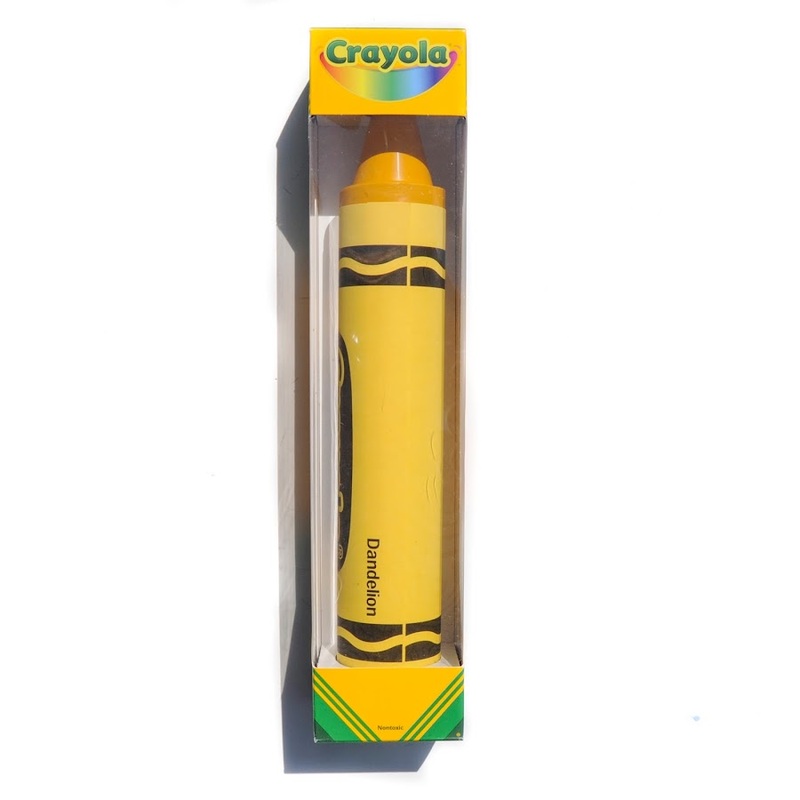 On March 30, 2017 Crayola announced that it would be retiring Dandelion. They had been teasing for a few days they were retiring a color. They had everyone #ShareYourFave and guess #WhosLeaving. The only hint they gave was it came from the 24 pack of crayons. My honest opinion was that it was going to be Green Yellow. Green Yellow is not very bright and I just do not use it much. Crayola was meaning to announce during a live stream from Times Square. (I wish I could have gone to. That would have been my dream come true) But someone found a special box at Target with the name of the color being retired. They posted it on Twitter. (I will post as soon as I get one.) It is hard to hide such big news, but it is a shame they posted it online. 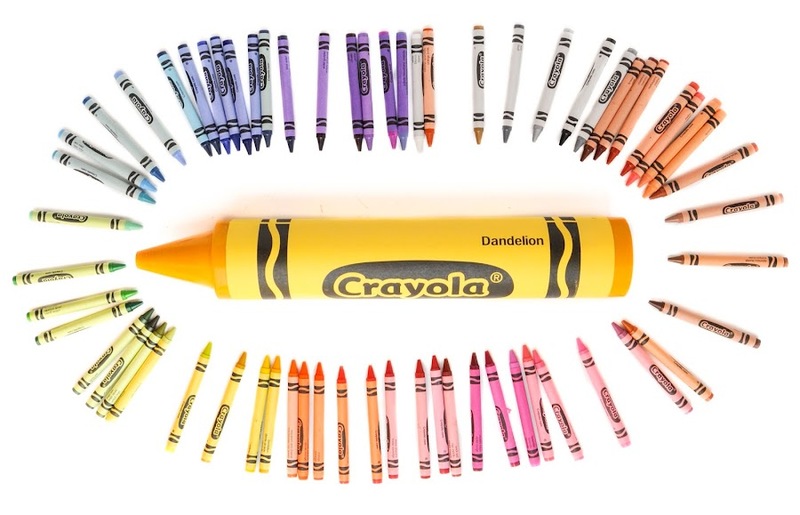 Dandelion was first introduced in 1990 in the 64 crayon box. That year they retired blue gray, green blue, lemon yellow, maize, orange red, orange-yellow, raw umber and violet blue. They added the colors cerulean, dandelion, fuchsia, jumble green, royal purple, teal blue, vivid tangerine, and wild strawberry. 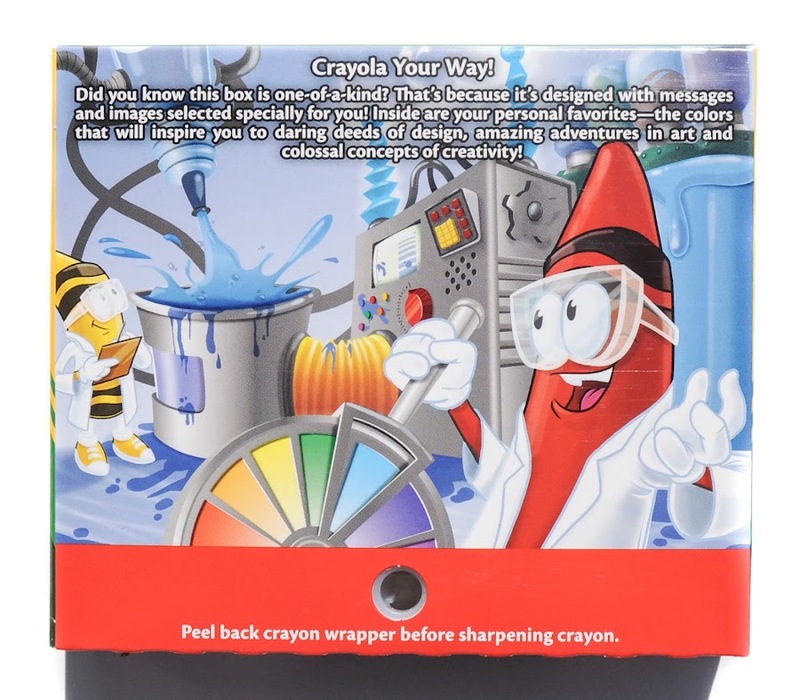 (Info found on http://www.crayoncollecting.com/ccolor19.htm). That year also marked the beginning decade of some amazing crayon boxes; Hot Fluorescent, Silver Swirls, GemTones, Metallic, Changeables, Star Brite, Magic Scent, Colour Bursts, and Pearl Brite to name a few. 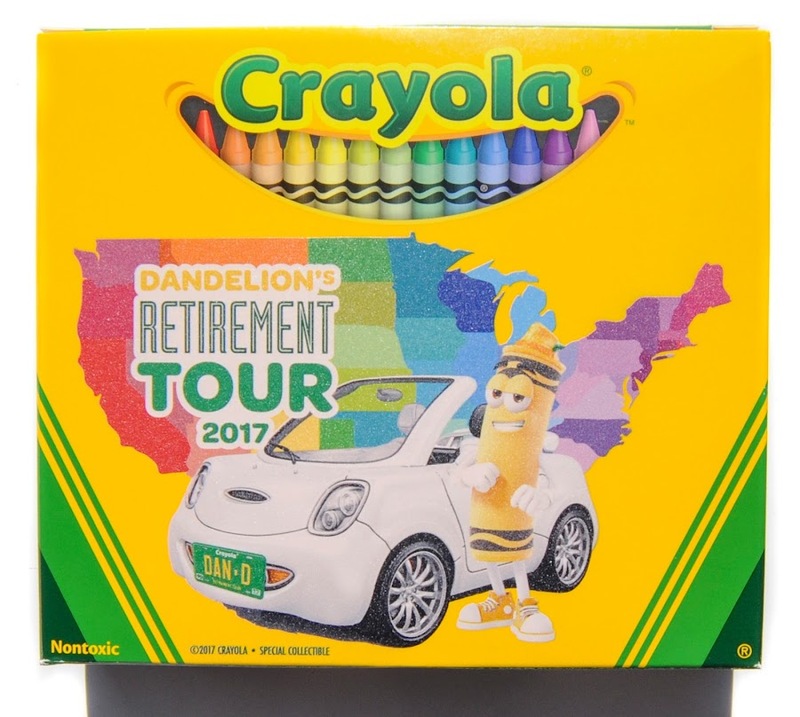 Crayola sent me this huge Dandelion crayon and Dandelion's Retirement Tour 2017 box. I am so grateful to them. 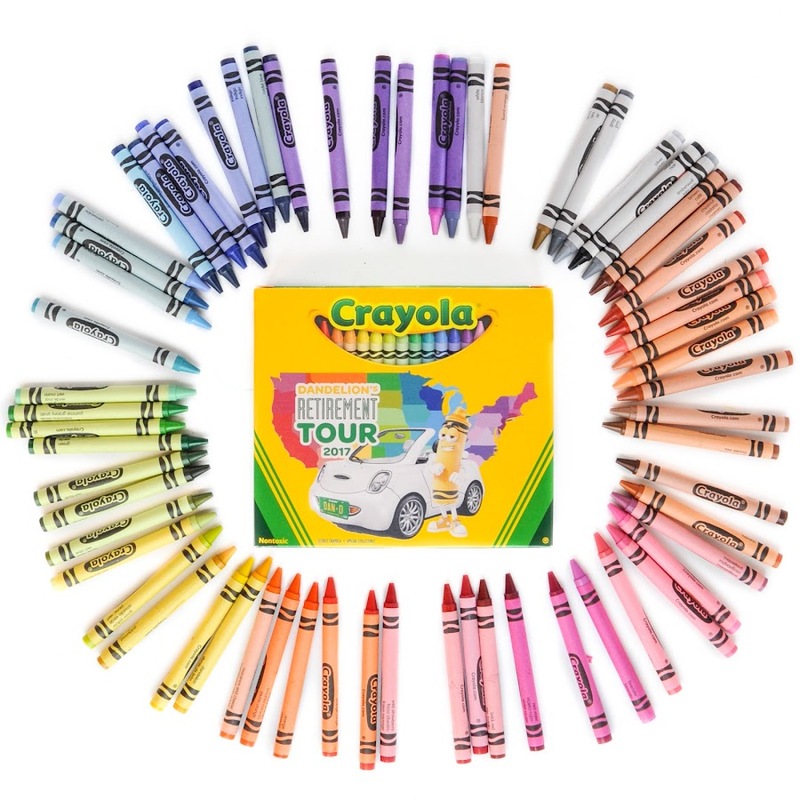 My son and daughter loved the crayon and want to color with it so bad. Dandelion is going on a retirement tour in April 2017. Here are the dates so far. Last but not least, here is the collecting information for what Crayola sent me.